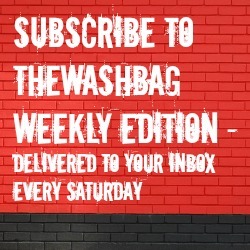 The Washbag Podcast is back! After a short break the podders return with Christopher Panks in the host ‘s chair, joined by the BBC’s Vic Morgan and TheWashbag.com’s resident statto Alex Cooke. Up for discussion today is the 4-1 triumph over Yeovil Town, Paolo Di Canio’s media messages, the cup defeat and Miles Storey’s ascent from promising talent to national team starter. Leave a comment below or catch us on Twitter. Resident statto? I’m not the one who runs a database of every corner/kick/shot and foul in every league and cup game since Don Rodgers was a boy, am I Ron? Actually the worst thing about Townsend is that his Tactics Truck set back the proper discussion of tactics as it was such a terrible segment. When in cricket you get an ex-pro discussing different pitch and length of delivery, Townsend just asked pros ‘why didn’t you head it then Ugo’? .